Exciting Opportunities at IMLS: Brown Bag Talk and New Grants! It’s been a whirlwind winter for the COVES team. 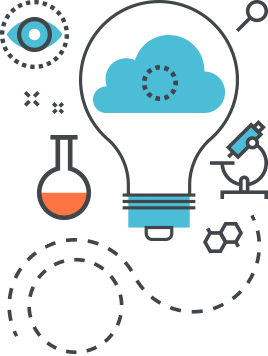 Around holidays and winter storms, we traveled to Vancouver, San Antonio, and Philadelphia to onboard our three newest COVES sites: Science World, The DoSeum, and The Franklin Institute. The day before our training at The Franklin Institute, we paid a visit to the Institute of Museum and Library Service’s (IMLS) Washington, D.C. office for an informal brown bag lunch presentation. IMLS has generously supported our work on COVES for more than five years, and we were excited for the opportunity to share more of our findings with them. At IMLS, our program officer, Helen Wechsler, invited staff to our talk, and we had about 15 attendees. Patti Curtis, Director of the Museum of Science’s D.C. office, also attended (and took the photos—thanks, Patti!). 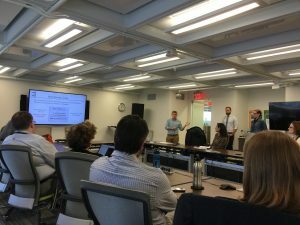 We shared some of the history of our project, from the C-COVES (Creating COVES) forum in 2013 to our first full year of aggregate data (July 2016-June 2017). More information about the Museums Empowered program—including the formal Notice of Funding Opportunity and a transcript and recording of a webinar–can be found here on IMLS’s website. 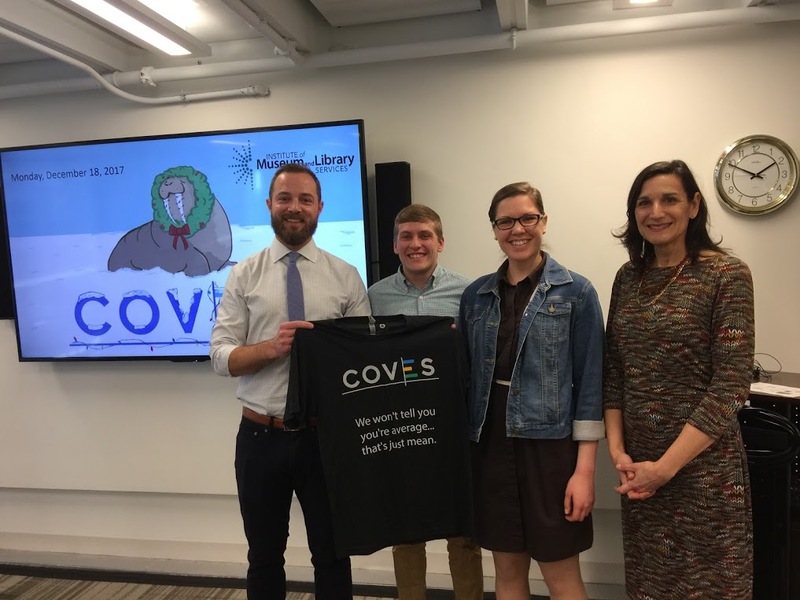 IMLS staff has been proud to support our work on COVES, and they encouraged our participating institutions to look into this funding opportunity. We invite all interested museums to look into the Evaluation category and build internal evaluation capacity!